The aim of this study was the effects of commercial gasoline in survival and mortality of silver carp (Hypophthalmichthys molitrix). 150 silver carp with an average weight of 3.3 ± 1.1 g and lengths of 4 ± 0.75 cm was used in this study. After transferring to the laboratory, fish were kept for one week within 200 L tanks in order to adapt to the laboratory condition. After compatibility time, 100 fish were randomly selected and divided into 14 treatments (0, 2, 5, 10, 20, 40, 60, 80, 100, 200, 400, 600, 800 and 100 ppm of Commercial gasoline) with three replicates (7 fish in each treatment). Results of this study showed 406.4 ± 0.46 ppm for LC5096h of commercial gasoline in silver carp, maximum allowable concentration (MAC Value) was also calculated as 40.64 mg/l. Given that many of the species found in Iran such as silver carp are resistant to the adverse effects of commercial diesel and with the arrival of the hydrocarbon composition to rivers as well as leaking fuel tanks and the entry of these compounds into the water caused fish mortality. Toxicity can be measured by its effects on the aim (organ, organism, cell or tissue). Adverse effects depend on two main agents including ways of exposure (inhalation, dermal, or oral) and dose (duration and concentration of exposure). To get to a right dose, substances are tested in both acute and chronic exposure (Ottoboni, 1991). Generally, several sets of experiments are accomplished to specify whether a substance causes cancer or other forms of toxicity. 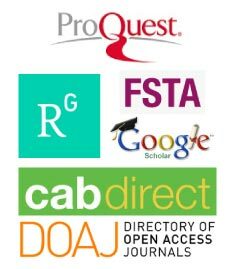 Computational toxicology is a discipline that extends computer-based models and mathematical to better understand and predict adverse health effects caused by chemicals, such as pharmaceuticals and environmental pollutants (Ottoboni, 1991). Toxicity testing is conducted to determine the degree of substance damage on living or non-living organisms. It is often conducted by researchers using standard test method to comply with governing regulations. Commercial Gasoline is the major usual self-moving fuel and is extensively used all over the world. The pollution of water by this petroleum formative is mainly ascribed to small but continuous permeation in storage tanks that attain water bodies, so it is important to understand the poisonous potential of gasoline for aquatic organisms (Simonato, 2011). The silver carp (Hypophthalmichthys molitrix) is a species of freshwater cyprinid fish, a diversity of Asian carp native to China and eastern Siberia. The species has also been introduced to, or deploy by connected waterways, into at least 88 countries around the world. Silver carp is important because it is generally used in aquaculture, but enhancement of wild fisheries and water quality control have also been intended on occasion (Kolar, 2005). LC50 is important because animal toxicity studies do not necessarily relate to humans. For example, dioxins (of Love Canal, Sveso, Times Beach and Agent Orange fame) are highly toxic to guinea ducklings and pigs at extremely low levels, but have never been conclusively linked to a single human death even at very high levels of acute (short time) exposure. The toxicity of a contaminant through biological assessment will be assessed. Sensitivity of different fish species to toxic substances is variable. Therefore toxicology tests are necessary for different fish (Barak et al., 1990). The aim of this study was to investigate the effects of commercial gasoline in survival and mortality of silver carp (Hypophthalmichthys molitrix). The 150 silver carp with an average weight of 3.3 ± 1.1 g and lengths of 4 ± 0.75 cm were used in this present study. After the transition, the fishes were kept in order to adapt to the laboratory condition for one week in tanks of 200 L. Fishes were fed 3 times a day with Biomar.co with the rate of two percent of average body weight. Test was conducted according to standard method to determine the lethal concentration of commercial diesel in a short time (96 h) constantly (static). All environmental parameters were considered fixed for all treatments. After adaptation, 100 fish were selected randomly and were divided into 14 treatments (0, 2, 5, 10, 20, 40, 60, 80, 100, 200, 400, 600, 800 and 1000 ppm Commercial gasoline) with three replicates (7 fish in each treatment). Fish were exposed to different concentrations of commercial gasoline for 96 hours. Mortality at intervals of 24, 48, 72 and 96 hours was recorded and dead fish were removed from the experimental tanks. The mortality rate was recorded every 24 hours. Chemical and physical conditions (such as water temperature, salinity, pH and dissolved oxygen) were kept constant throughout the experiment. All experiments were repeated 3 times and performed in triplicate. Information were analyzed with SPSS statistical analysis software version 20 using Probit Analysis Statistical Method. The LC50 values with 95 percent confidence limits were calculated. Differences among the results were considered to be statistically significant when P value was (<0.05). Statistical process control for quality control of statistical methods was used by SPSS software version 19 in windows 7. In this study, no mortality observed in the control group. In contrast to the control group, 100% mortality was observed in concentration of 1000 mg/l commercial gasoline Lethal concentration of commercial gasoline for silver carp was calculated 0- 1000 mg/l. Exposure of silver carp to different concentrations of commercial gasoline at various times spots is presented in Tables 1 and 2. The mortality rate of silver carp during four days is presented in Table 1. Table 1: The mortality rate of silver carp exposure to different concentration of commercial diesel. Table 2: Lethal concentration (LC5096h) commercial diesel with confidence limits 95% during the times of 24-96 hours (maximum minimum concentration). According to the results of Tables 1 and 2, with uses the software probit analysis values LC1, LC 10, LC20, LC30, LC 40, LC50, LC 60, LC70, LC80, LC90, LC95, LC99 commercial gasoline was calculated during times of 24, 48, 72 and 96 hours (Table 2). The results of this study shows LC5096h commercial gasoline for silver carp is 406.4 ppm and the maximum allowable concentration (MAC Value) calculated for this toxin is 40/64 mg/l. According to the results acute toxicity (LC50) significantly decreased with increasing exposure time. lower indices of NEC, LEC and LC50 with increasing exposure time is shown in Figure 1. Figure 1: Comparison of results of various tests commercial diesel in silver carp. According to Figure 2, the mortality rate increased with increasing exposure time to commercial gasoline and increasing concentration. NOEC (No Observed Effect Concentration) and LOEC (Lowest Observed Effect Concentration) were identical for all studied silver carp, although LC50 (the median Lethal Concentration) at different times showed a significant difference (Figure 1). Based on computed LC5096h for silver carp maximum allowable concentration (MAC) of pollutants in natural environments is 0.1 LC50. Figure 2: The mortality rate of silver carp after 96 hours exposure to different concentrations of commercial gasoline (ppm). This study clearly reveals that toxicant concentrations (LC) cause fish mortality even at short exposure time. Acute toxicity of a toxicant on every species is related to the size, age, and situation of the experiment species along with experimental parameters. The discrepancy in acute toxicity may be due to changes in water quality and test species (Gupta et al., 1981). Horsefall and Spiff showed that the extent of evacuation of oxygen in the water is often similar to the action of the organic pollutant (Horsefall and Spiff, 1998). Hedayati and Darabitabar showed, The LC5096h of commercial gasoline is 600.2 ± 0.44 ppm and (MAC Value) the maximum allowable concentration is 60/02 mg/l. The study showed deadly and lethal effects of commercial gasoline for Caspian Roach (Rutilus rutilus). The spill transport tanker gasoline and diesel fuels can enter to eventually and rivers to reach nursery and spawning areas and marine ecosystem, that is serious threat to organism water life and survival (Hedayati and Darabitabar, 2016). 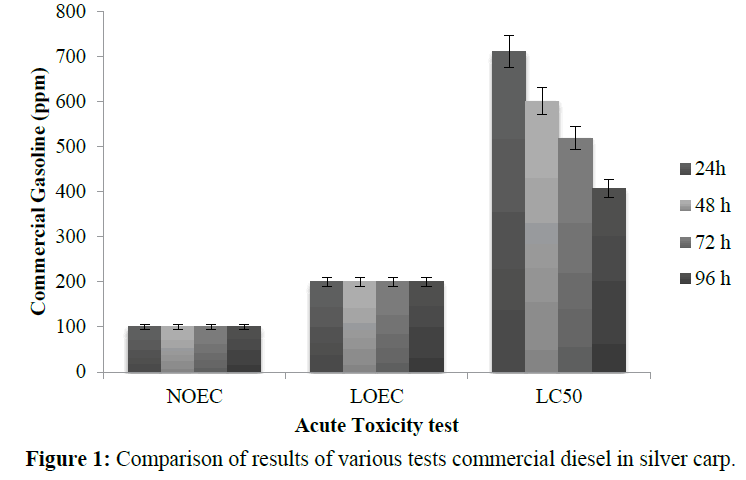 Fayeofori and Bob showed that from the international assortment of toxicity of material based on their average deadly dose the water dissolved deduction of diesel fuel is slightly toxic to P. Koelreuteria (Fayeofori and Bob, 2012). The exposure of P. koelreuteria to water dissolved fraction of diesel fuel showed lethal even at low. This agrees with earlier reports on watersoluble components of hydrocarbon impact on aquatic life (Oladimeji et al., 1988; Dede and Kaglo, 2001; Fafioye, 2006). The present study results showed that commercial gasoline is toxic for silver carp (Hypophthalmichthys molitrix). The Lethal Concentrations (96 h LC50) gasoline for silver Carp was 406.4 ± 0.46. Sharififar, evaluated cytotoxicity effects of 4 plant oils and different extracts (Sharififar, 2009). They obtained that heracleum persicum and Cinnamomum verum had the most cytotoxicity (LC50 values showed 0.007 and 0.03 μg/ml, respectively). AltÃÂ±nterim in 2012, investigated that LC50 value of E. camaldulens is hydrosol on carp and they reported that the 5 h LC50 value (95% confidence limit) of the safe dose of E. camaldulens is hydrosol estimated to be 0.93 ml L-1 (0.03 - 0.11). Forget et al. in 1998 reported, that commercial degree malathion was more toxic than the technical one. Fatality and LC50 values for several stages of the marine copepod exposed to malathion as 24.3 μg L-1. Hedayati and Salati in 2015 in a study on Acute toxicity test of detergent powder in silver carp (Hypophthalmicthys molitrix), common carp (Cyprinus carpio), goldfish (Carassius auratus) and roach (Rutilus rutilus caspicus) showed, The 96 h toxicity experiments showed 100% mortality at 40 mg L-1, and no mortality and lethal was observed in 5 mg L-1 for all species in test. LC50 of detergent powder in Carassius auratus (24.6 ± 0.32 mg L-1) was higher than other species, while Hypophthalmicthys molitrix (16.7 mg L-1) had the lowest one. In assessing the risks of environmental pollutants in order to protect aquatic organisms from 1/0 to 01/0 LC50 values used (Jiunn and Cheng, 2000). Also ineffective concentration (NOEC) was 100 mg/l in 24, 48, 72 and 96 times. The minimum effective concentration (LOEC) was calculated 200 mg/l in 24, 48, 72 and 96 times. Jahanbakhshi and et al showed LC50 or the median lethal concentration was calculated with probit analysis. The results showed that 100% mortality after 48 hours in 500 and 1000 ppm diesel oil and after 72 hours in 100 ppm and after 96 hours in 40 ppm. The LC5096h was calculated 24.80 ± 0.23 ppm. Our results vouched sensitivity of Beluga (Huso huso) to low diesel oil doses (Jahanbakhshi et al., 2012). Ineffective concentration is the highest concentrations that no adverse effects appear on the test species. Diesel fuel is a petroleum product that is used in diesel motors in some automobiles, generators, light-duty and, railroad locomotives and heavy-duty trucks. It is a mixture of petroleum compounds and is less expensive to produce than gasoline. Long-term exposure to diesel fuel steams can cause kidney damage and lower the blood’s ability to clot. Diesel-powered cars generally have economically a better fuel than equivalent gasoline engines and produce less greenhouse gas emission (Tillotson, 1981). According to the results, with increasing exposure time acute toxicity (LC50) of 24, 48, 72 and 96 hours significantly decrease. The results showed lower indices of NOEC, LOEC and LC50 with increasing exposure time. Mortality rate increased with increasing time exposure to commercial gasoline and increasing concentration. Eventually it found 406.4 ± 0.46 ppm for LC5096h and 40.64 mg/l as MAC Value of commercial gasoline in silver carp that means harmful effects of gasoline on aquatic organism. Silver carp is resistant to the adverse effects of commercial diesel and with the arrival of the hydrocarbon composition to waters as well as leaking fuel tanks and the entry of these compounds into the water caused fish mortality. It is therefore essential that responsible environmental in thinking are ways to prevent or reduce the entry of fuel into the environment and marine environments. We would like to thank faculty of Fisheries and Environment, Gorgan University of Agriculture Sciences and Natural Resources and thank all those who helped us. Altinterim, B., Kucukgul, A., Aksu, O. (2012) Determination of safety dose of Eucalyptus camaldulensis hydrosol on mirror carp (Cyprinuscarpio). SJR21, 1219-1222. Barak, N.A.E., Mason, C.E. (1990) Mercury, cadmium and lead concentrations in five species of freshwater fish from eastern England.Sci Total Environ92, 257-263. Chapman, P.M., Dexter, R.N., Long, E.R. (1998) Synoptic measures of sediments contamination, toxicity and infaunal community composition (the Sediment Quality Triad) in San Francisco Bay. Mar EcolProgrSer37, 75-93. Dede, E.B., Kaglo, H.D. (2001) Aqua-toxicological effects of water soluble fractions (WSF) of Diesel fuel on O. niloticus fingerlings. J ApplSci Environ Mgt5, 93-96. Fafioye, O.O. 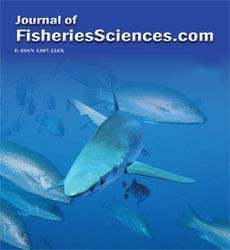 (2006) Effect of chronic exposure to water soluble fractions of forcados crude oil on the growth and development of african catfish (Clariasgariepinus) larvae. AJOL 13, 179-182. Fayeofori, G., Bob, M. (2012) Acute Toxicity Tests of Different Concentrations of Diesel Fuel on the Mudskipper, Periophthalmuskoelreuteri (Gobiidae).Huma. Eco 39, 171-174. Finney, D.J. (1971) Probit Analysis. Univ. Cambridge, London, p:333. Forget, J., Pavillon, J., Menasria, M., Bocquene, G. (1998) Mortality and LC50 Values for Several Stages of the Marine Copepod Tigriopusbrevicornis Müller) Exposed to the Metals Arsenic and Cadmium and the Pesticides Atrazine, Carbofuran, Dichlorvos, and Malathion. Ecotoxicol. Environ Saf40, 239-244. Gupta, P.K., Khangarot, B.S., Durve, V.S. (1981) The temperature dependence of the acute toxicity of copper to a freshwater pond snail, Viviparusbengalensis L. Hydrobiologia83, 461-464. Horsefall, M., Spiff, A.I. (1998) Principles of Environmental Chemistry. Metropolis, India. p:112-119. Hedayati, A., Darabitabar, F. (2016) Effect of Lethal concentration of commercial gasoline on Caspian Roach (Rutilusrutilus). Avicenna Journal of Environmental Health Engineeringpp: 1-19. Hedayat, A., Salati, A.P. (2015) Acute toxicity test of detergent powder in silver carp (Hypophthalmicthysmolitrix), common carp (Cyprinuscarpio), goldfish (Carassiusauratus) and roach (Rutilusrutiluscaspicus). Iranian Journal of Aquatic Animal Health2, 11-16. Jahanbakhshi, A., Hedayati, A., Ahmadvand, S., Nodeh, A.J. (2012) Detection of acute toxicity test of crude diesel oil on Beluga, Husohuso.ToxicolInd Health pp: 1-4. Kolar, C.S., Chapman, D.C., Courtenay, J.R., W.R., Housel, C.M., Williams, J.D., Jennings, D.P. (2005) Asian carps of the genus hypophthalmichthys (Pisces, Cyprinidae) -A biological synopsis and environmental risk assessment. Wildlife Service, New York, p:183. Oladimeji, A.A., Onwumere, B.G. (1988) Sublethal effects of treated effluents from the NNPC refinery Kaduna to Oreochromisniloticus (Tilapia). Petroleum Industry, Nigerian pp: 256- 262. Ottoboni, M. (1991) The dose makes the poison : a plain-language guide to toxicology. Nostrand Reinhold, New York, p: 83-85. Sharififar, F., Moshafi, M.H., Dehghan-Nudehe, G., Ameri, A., Alishahi F. and Pourhemati, A. (2009) Bioassay screening of the essential oil and various extracts from 4 spices medicinal plants. Pak J Pharm Sci22, 317-322. Simonato, J.D., Fernandes, M.N., Martinez, C.B.R. (2011) Gasoline effects on biotransformation and antioxidant defenses of the freshwater fish Prochiloduslineatus. Ecotoxicology 20, 1400-1410. Tillotson, G. (1981) Engines for Main Battle Tanks. Military Annual, Philippine p: 59-63.